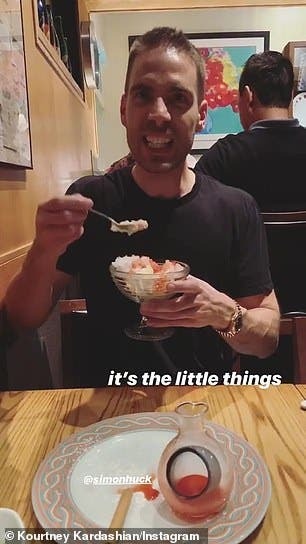 KUWTK star Kourtney Kardashian indulged in Hawaiian shave ice during 'date night' with her publicist pal Simon Huck at Matsuhisa in Los Angeles on Tuesday. 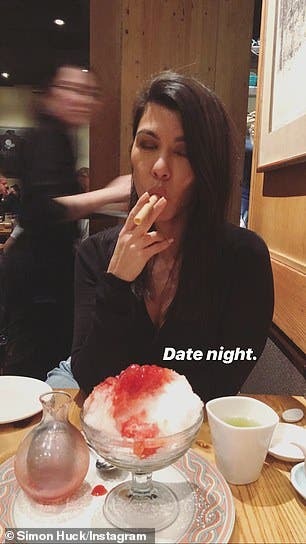 The 39-year-old mother-of-three wore a black long-sleeved top and high-waisted jeans to hang out with the 35-year-old Command Entertainment Group owner. Kourtney has known Simon as far back as 2009 and he even guest-starred in three episodes of KUWTK and three episodes of spin-off Kourtney & Kim Take Miami. However, Huck has a ripped boyfriend called Phil Riportella, whom he described as 'my partner in crime whom I love so very much' in November. 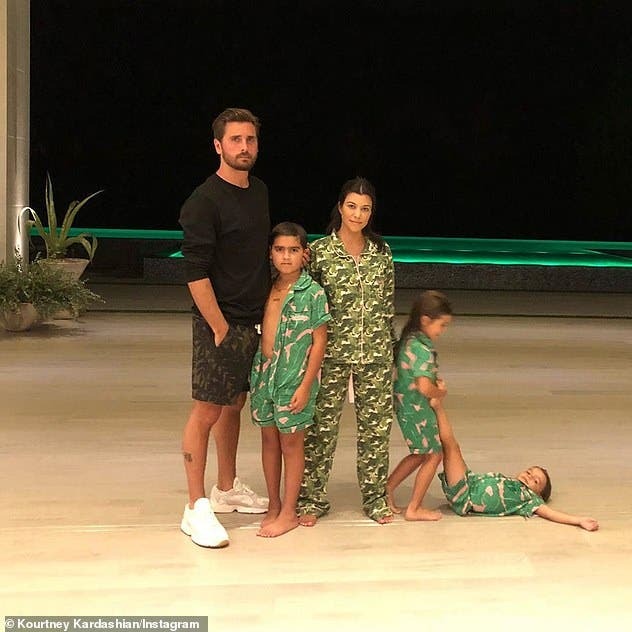 Kardashian has three children - son Mason, 9; daughter Penelope, 6; and son Reign, 4 - with Talentless clothing CEO Scott Disick, whom she split with in 2015. The Calabasas socialite has been posting provocative albeit Photoshopped images to promote her mysterious soon-to-be-released brand, Poosh. Poosh will likely resemble Jessica Alba's Honest Company since Kourtney has been a vocal supporter of California Senator Diane Feinstein's Personal Care Products Safety Act. 'I met with Environmental Working Group, with the women, we all had lunch together and I said, "How can I help?" I had been using their app for years, since I had my first son and I got really into it and checking my products,' the University of Arizona grad told TODAY last month. Catch more of the half-Armenian beauty on 16th season of Keeping Up with the Kardashians, which premieres March 31 on E! Back in 2017, Kardashian and her famous family signed a massive $100M deal with the the cable network through 2020 - according to Variety.